As a composer, Whitney Berry strives to write music that is both interesting and accessible to amateur performers. She writes in a predominantly classical style and her primarily a cappella works are characterized by the use of interesting harmonic shifts and colorations. She is a native of Oakbank, Manitoba, Canada and began composing at the age of 15. She received her Bachelor of Music and Bachelor of Education degrees from Brandon University, where she studied composition with Kenneth Nichols. While at Brandon University, she received the 1996 Associated Manitoba Arts Festivals Award for Young Manitoba Composers for her collection of elementary piano pieces entitled Prairie Pictures. She went on to complete her Master’s degree in composition at the University of North Dakota, studying under James Fry and in 1998 was named runner-up winner in the Elizabeth and Michel Sorel Charitable Organization’s Young Women’s Composers Competition for her women’s choir piece, Prayer (2000), which was written in memory of the victims of the 1989 Montreal Massacre. She completed her Ph.D in music education at the University of North Dakota, where she currently teaches music theory and aural skills courses. 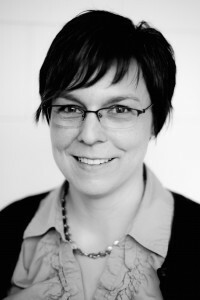 As a theory instructor, she has developed a variety of unique games- and composition-based teaching methods and is in frequent demand as a guest lecturer and clinician.